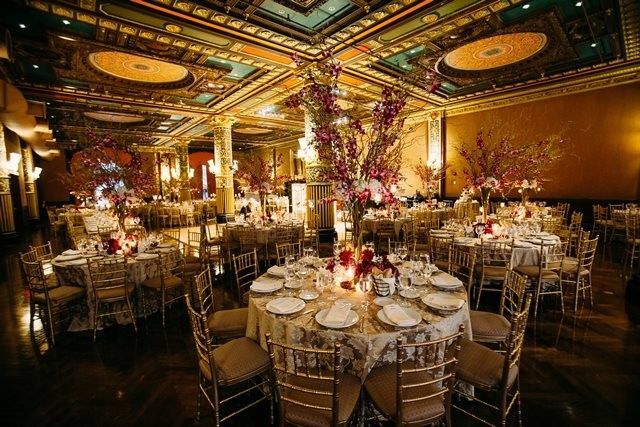 Prince George Ballroom is a premier event destination located in New York, New York ideal for lavish wedding celebrations. 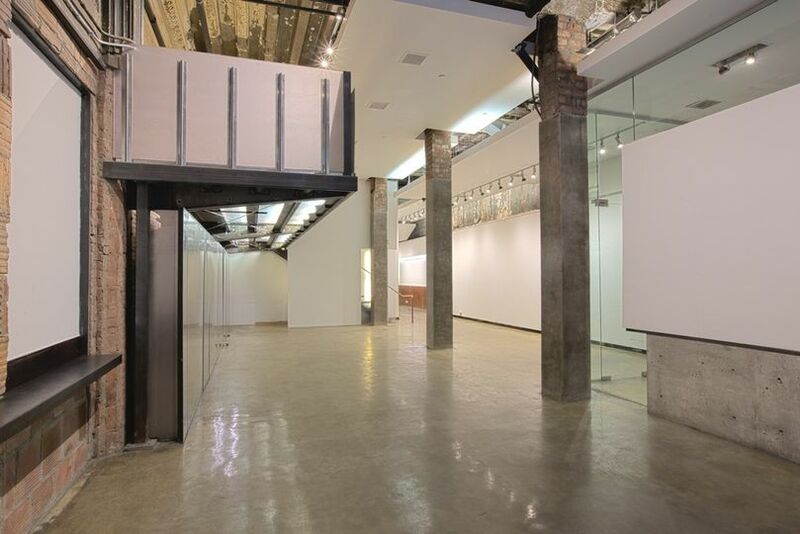 Situated in the Flatiron District, this space is the perfect mix of classic and modern. Prince George Ballroom has been restored to its original Neo-Renaissance design and has been since named a landmark venue. 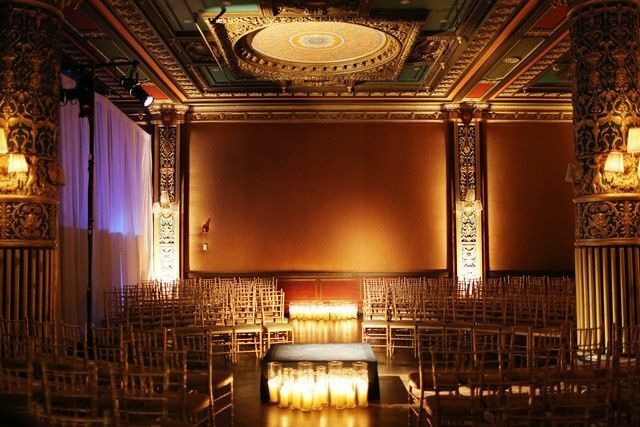 The ballroom boasts over 9,000 square feet of stunning space and features a variety of amenities including a modern gallery entrance and a fully equipped kitchen. 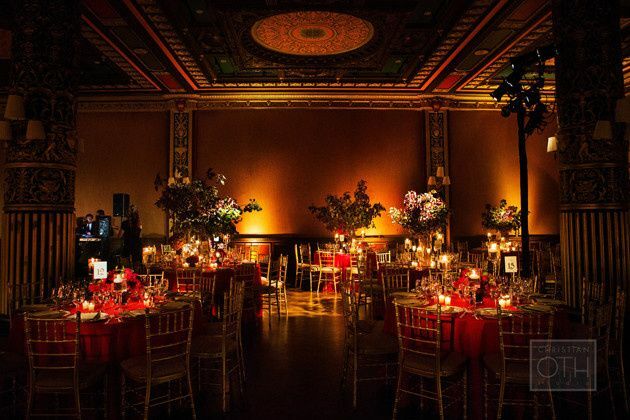 With its stunning lighting, color-themed rooms, intricately detailed ceilings, and beautiful architecture, couples can feel confident in hosting a memorable event at a one-of-a-kind venue. The hotel boasts three flexible event facilities: The Ballroom, The Gallery, and The Ladies’ Tea Room. 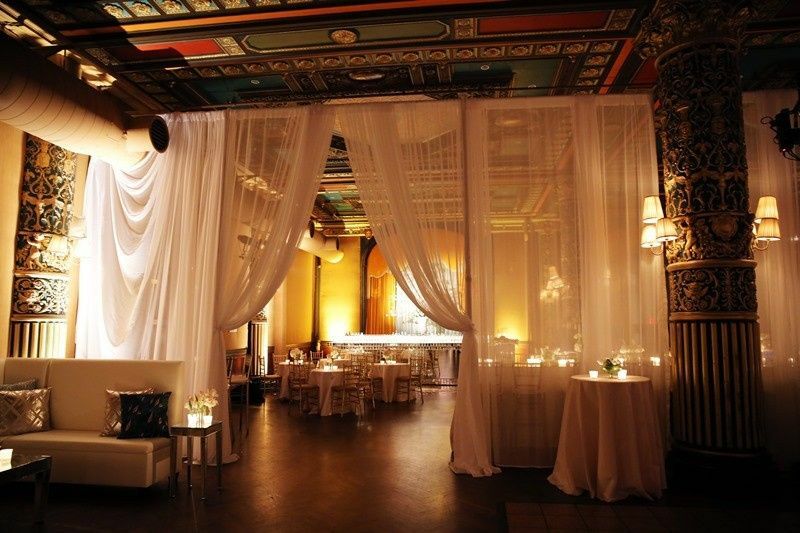 The Ballroom, their biggest space, can be transformed into a wedding dream and boasts an open floor plan for flexibility and creativity. Whether you want round tables or long tables, their staff will assist with setting up and designing a floor plan that works for your party size. 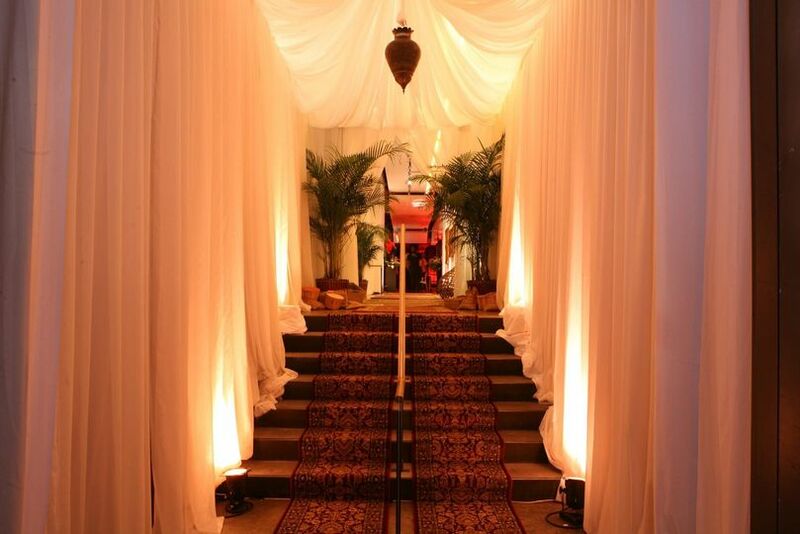 The Ladies’ Tea Room and The Gallery are more ideal for smaller and more intimate gatherings, such as ceremonies and cocktail receptions. The main ballroom can comfortably accommodate up to 300 wedding guests. This building was built in 1904 and was a main fixture in the Madison Square neighborhood. It has been featured in Vogue videos, television shows, fashion shows, NYFW, and more. PRINCE GEORGE BALL ROOM IS SIMPLY AMAZING! ONE OF THE BEST KEPT SECRETS IN NYC! My fiancé and I were one of the unlucky couple who lost our venue, Angel Orensanz, 8 weeks before our wedding date. We were so lucky to be recommended to the The Prince George Ball Room by our caterer. From the start Karen was a breath of fresh air to work with.She help calm our nerves and was extremely organized, helpful, and a joy to collaborate with; she made the entire experience a wonderful one. The venue itself is simply breathtaking. 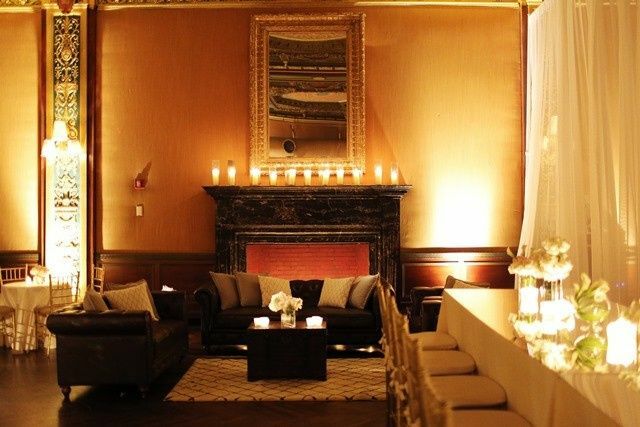 It combines "new new york " the gallery room with "vintage new york" the Tea Room and Ball Room its self. We were truly blessed to be able to have our wedding here. I would recommend this place to any couple. What a unique and beautiful venue! We worked with Karen and Valerie, who were professional and wonderful throughout the entire process. Their expertise and efficiency made the planning and execution of our wedding so easy for us...our many thanks! 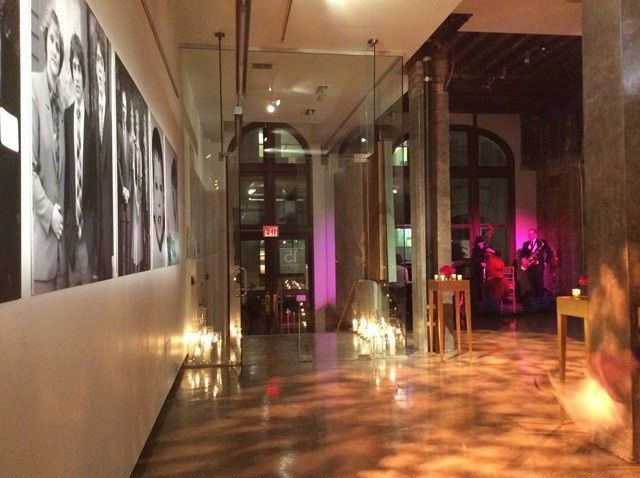 Highly recommend this gorgeous NYC spot for any event.